Real quick here, I'll give you some links on Typhoon Muifa screaming outside my door as I bang away on the keyboard hoping the internet doesn't crash again. 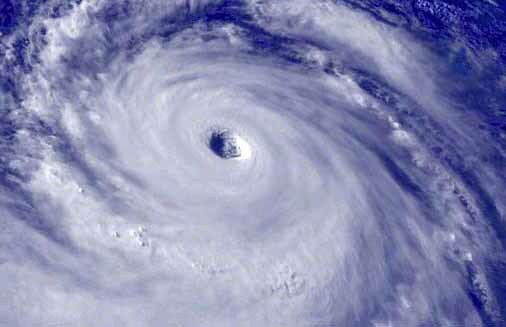 This is an old photo of what just any typhoon may look like from outer space. But, this TYPHOON HUNTER DUDE MAKES A YOUTUBE VIDEO OF THE DANG THING WHILE IT HAPPENS ! Check it out. I don't know whether to be really impressed with your bravery or aghast at your stupidity. Just how tall was the ladder you used to take that shot, anyway? Ya shouldn't be getting all aghast. Try Rolaids, or somethin. That photo was of a Super Typhoon I borrowed from an encyclopedia !